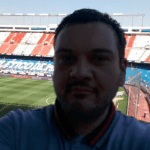 Catello Cuomo (@CatelloCuomo3) previews Leganes v Barcelona and provides us with his best bets for this Premier League clash, analysing team news, potential line-ups, head-to-head, key stats and facts and more. After a faultless start for Barcelona, they had to come back from 2-1 down against Girona at the Camp Nou. Lenglet was sent off for elbowing in the first half for the Catalan giants and they had to rely on a Pique equaliser to salvage a point from the game. After winning the Spanish Super Cup 2-1 against Sevilla, Barca won their next 5 games scoring 18 goals and conceding just 3. Their front 3 of Dembele, Suarez and Messi have scored 11 league goals between them so far. Leganes finished 4th from bottom last season but 14 points above Deportivo who occupied the 3rd relegation spot. Their home form was steady last season winning 9 of their 19 games but it was in attack where they struggled. They only managed to find the 19 times at home and just 15 times on their travels. They drew 2-2 at home to Sociedad but have lost their other 4 games and have failed to score in their last 2. Alexander Szymanowski is out, while Ezequiel Munoz is a doubt. Recio is carrying a slight knock but should start. Clement Lenglet is suspended for Barcelona following his straight red card at the weekend, so Barca’s usual centre back pairing of Pique and Umtiti should feature. The sides have only met 4 times in their history, Barcelona winning all 4. Barcelona have kept 5 clean sheets in their last 13 away league games. Barcelona had the best away form in the league last season. 10 of the last 14 games for Leganes have seen both sides scoring, including their last meeting with Barcelona. Barcelona should return back to winning ways in this game. The Leganes defence will find it difficult to cope with the attacking power of Barcelona. Leganes have already conceded 10 in their 5 league games and Barcelona could make their goals against tally look even worse after this game.